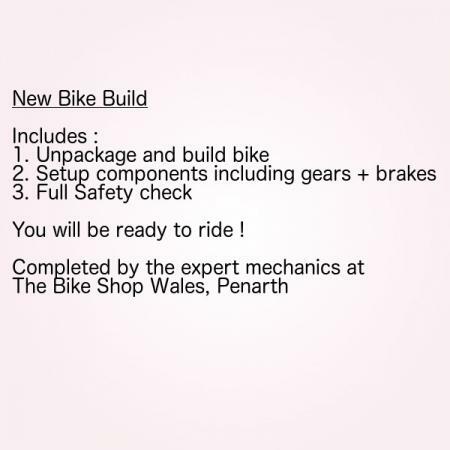 Add this product to your bike purchase if you would like your bike built and setup by Bike Shop Wales . We will build the bike, and ensure she is ready to ride from the shop. This includes setting up the gears, brakes and a full safety check.